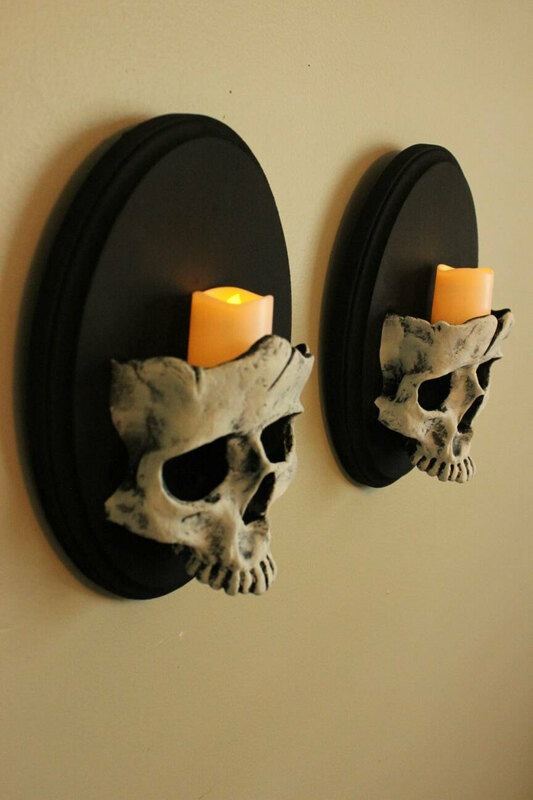 This listing is for a set of my skull sconces. I use one of my skulls then attach it to wood. Then added jagged lines to create the broken skull look. Each skull will be slightly different. The wood the skulls are attached to is 9″x6″ inches and the skulls themselves are about 5″x5″ inches and they come ready to hang.